Staying active is an important part of a healthy lifestyle. Unfortunately, participating in sports or other physical activities without protecting your eyes can lead to eye injuries that can harm your vision. You take the time to wear protective gear to prevent injury to the rest of your body; make sure you’re also considering your eyes. Wearing your prescription glasses when you’re participating in an active pursuit is not a good idea, and regular sunglasses won’t properly protect your eyes. In fact, sometimes even safety goggles don’t go far enough to protect your sight. Some people may worry: does protective eyewear impede vision and thus, athletic performance? Experts say no. In fact, many players actually perform better when wearing protective eyewear, because they’re less afraid of injury. Baseball: A sturdy plastic or polycarbonate face guard, along with goggles or eye guards. The right materials are just as crucial as the right gear. According to experts, the best lenses for eye protection are made of ultra-strong polycarbonate. You can find protective eyewear at some sporting goods stores, or get it through your eye care provider. Make sure to choose eyewear that meets the standards set by the American Society for Testing and Materials. If you are looking for an eye care provider, the Gerstein Eye Institute in Chicago can help. Since 1968, the Gerstein Eye Institute has been providing exceptional ophthalmologic care to patients in the Chicago area. With decades of experience in ophthalmology, our certified professional staff members work hard to provide the kind of personalized care that keeps patients coming back year after year, eventually entrusting the eye health of their children and grandchildren to us as well. To schedule an appointment, call us at 773.596.9545 or contact us through our website. How much do you know about cataracts? Cataracts are extremely common, affecting more than 20.5 million Americans over the age of 40. In fact, by age 65, it’s estimated that more than 90% of people in the United States will develop cataracts, and by the time they’re 75, those cataracts will have a major impact on their vision. Knowing those statistics, it’s a good idea to know a little bit about cataracts. What is a cataract? Typically found in people over age 55, a cataract is an opaque or cloudy area in the lens of the eye. Cataracts can be found in one or both eyes, but don’t spread from one eye to the other. They interfere with vision because they cause the light entering the eye to be scattered, rather than properly focused. What are the symptoms of cataracts? Cataracts form slowly and cause blurred or hazy vision, reduced intensity of colors, increased sensitivity to glare, and increased difficulty seeing at night. 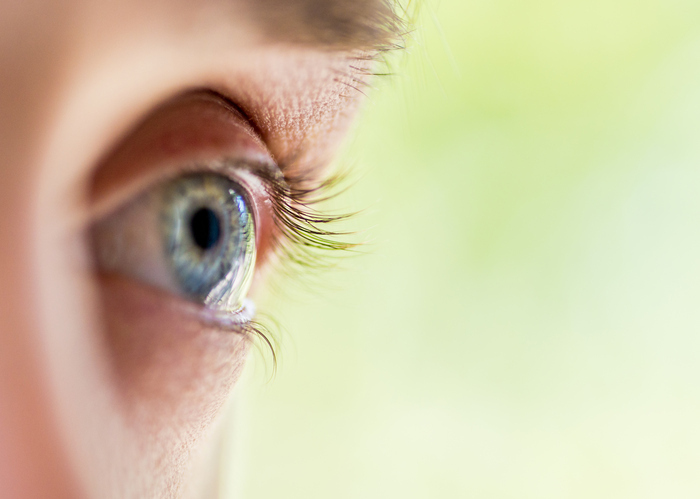 Are there different types of cataracts? Nuclear cataracts are located in the center of the iris, while cortical cataracts affect the layer of the lens that surrounds the nucleus, and posterior cataracts are on the back outer layer of the lens. Posterior cataracts develop most rapidly. How can cataracts be prevented? You can’t really prevent cataracts, but you can reduce your risk of developing cataracts by eating a nutrient-dense diet, not smoking, and keeping diabetes under control. Limiting alcohol consumption, protecting your eyes from the sun, and seeing your eye doctor regularly are also good steps toward cataract prevention. What’s the best treatment for cataracts? If a cataract doesn’t affect your vision, it may not require treatment. Even if it does, you can often just treat the symptoms of a cataract, by wearing eyeglasses, using brighter lighting, wearing anti-glare sunglasses, or using magnifying lenses. The only way to treat a cataract itself, though, is through surgery. What’s involved in cataract surgery? Cataract surgery involves removing the cloudy lens and replacing it with an artificial one. Cataract surgery is one of the most common, and safest, surgeries performed in the United States. Your eye doctor will be able to help you determine whether it’s right for you. Your vision is precious, and protecting it as you age is one of the most important things you can do to maintain your quality of life. Since sight-threatening eye problems affect one in six adults over the age of 45, it’s extremely important to take steps to keep your eyes healthy and your vision strong. Fortunately, there are steps you can take to care for your eyes. Know your risk. Some health conditions can raise your risk of developing eye diseases If you have high blood pressure, multiple sclerosis, or diabetes, for example, you’re at risk for eye problems. 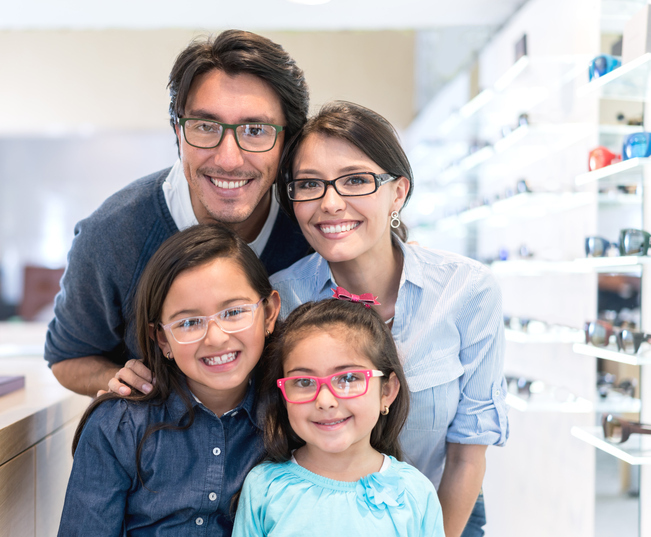 Even if you don’t have a medical condition yourself, your family’s health history can have an impact on your eye health. Be proactive. Take charge of your health, seeing your doctor regularly and following medical advice to the letter. Manage medical conditions, particularly those that cause chronic inflammation, to protect your eyes. Pay attention to your vision, and report any changes to your eye doctor immediately. Some symptoms that warrant prompt attention include double vision, hazy vision, difficulty seeing in low light, red eyes, frequent flashes of light, floaters, eye pain, and swelling. Eat your veggies. A healthy, balanced diet is important for your eyes, and that diet should include Vitamins A, C, and E, as well as zinc, carotenoids lutein and zeaxanthin, and Omega-3 fatty acids. You can get these nutrients by eating a variety of colorful fruits and vegetables, dark leafy greens, eggs, salmon, and flaxseed. Stay active. Studies have shown that regular exercise can reduce the risk of age-related macular degeneration by as much as 70 percent. Be protective. Wear protective eyewear when you’re doing anything that could injure your eye. This means protecting your eyes from anything that could cause damage or injury, including chemicals, sharp objects, and UV rays. Stop smoking. It’s best if you never smoke at all because smoking can raise your risk of developing age-related macular degeneration, cataracts, uveitis, and other eye problems. Even if you have been a smoker, stopping now can improve your eye health. See your doctor. At least every two years, have a comprehensive eye exam to determine your risk for major eye diseases. It’s also important to see your eye doctor regularly to make sure your prescription for eyeglasses or contacts is up to date. The older you get, the more your doctor emphasizes the importance of eating well and exercising to stay healthy. Good nutrition and physical activity certainly benefit your body, but making specific lifestyle changes can also help delay or prevent age-related eye diseases. Follow these tips to maintain healthy eyes as you age. Annual visits to the eye doctor are recommended for everyone, but once you hit 40, regular eye exams become even more crucial. Yearly visits can help catch glaucoma, macular degeneration and other eye diseases in their early stages, making them easier to treat. Your eye doctor can also detect other non-sight related illnesses during a comprehensive eye exam, including hypertension, diabetes, STDs and some forms of cancer. It isn’t enough to rinse your injured eye under cool water and hope it gets better. If you experience vision problems or eye discomfort at any time, call your eye doctor right away. Receiving professional medical attention is the best way to safeguard your vision. Wear dark-tinted sunglasses while outside. Turn on your computer’s “night light” feature to decrease the amount of blue light the screen emits. Wear blue-blocking computer glasses with yellow-tinted lenses. Illuminate your home with CFLs and LEDs that emit “warm” light. Smoking increases the amount of oxidative stress in your body, which can increase your chances of developing age-related macular degeneration (AMD), cataracts and glaucoma. Give up smoking, and you’ll improve nearly every aspect of your health, including your vision. Maintaining a healthy sleeping pattern improves your overall well-being. It’s also a chance to rest your eyes and help them rejuvenate for the following day. Aim for at least seven hours of sleep each night. Avoid looking at your Smartphone right before bed, as the blue light of the LED screen can keep you awake. For more tips to maintain healthy eyes as you age, or to schedule an eye exam in Chicago, IL, please contact Gerstein Eye Institute at 773.596.9545. How Does Bright Light Affect Your Vision? The iris serves as your eye’s main defense against bright light. This is the colored part of your eye responsible for reducing and enlarging the size of your pupil. When intense light rays reach your eye, the iris responds by constricting the pupil, thus protecting the retina and helping it process the incoming image better. The opposite occurs in low light when the iris dilates the pupil to allow as much light in as possible. 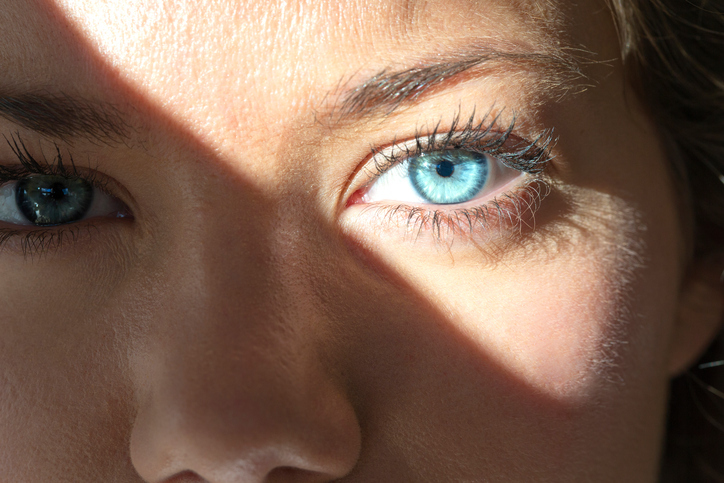 Can Bright Light Damage Your Vision? In short, yes, staring at bright lights can damage your eyes. When the retina’s light-sensing cells become over-stimulated from looking at a bright light, they release massive amounts of signaling chemicals, injuring the back of the eye as a result. The sun shines with such intensity that staring directly at it for just a few seconds can cause permanent retinal damage. Chronic exposure to UV rays over many weeks, months or years can also harm the macula, cornea and lens. A damaged macula leads to macular degeneration. A “sunburned” cornea can cause blurry vision and loss of eyesight. 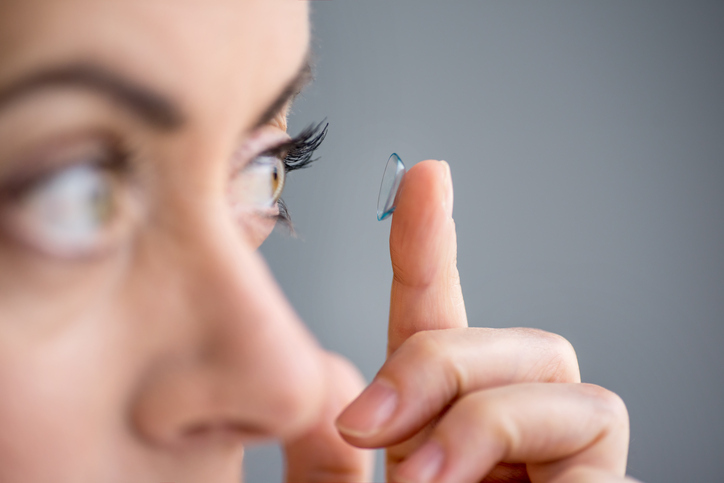 A damaged lens may develop a cataract, or clouding of the lens that blurs vision. Blue light, even at moderate intensity levels, can damage your retinas slowly over time. Blue light has shorter wavelengths than warmer light, so it has more energy. Prolonged exposure may increase the risk of age-related macular degeneration (AMD). Sunlight is the most prominent source of blue light, but other examples include fluorescent lights, LEDs, TVs, computer monitors and Smartphone screens. Choose glasses with anti-reflective lenses to reduce glare from bright lights. Wear dark-tinted sunglasses and a brimmed hat while outside. Polarized sunglasses with UV protection further shield your eyes from the effects of blue light and ultraviolet rays. Decrease daily screen time and take frequent breaks to rest your eyes. Wear blue-blocking computer glasses with yellow-tinted lenses that ease digital eyestrain. Choose CFLs and LEDs that emit “warm” light. If you require cataract surgery, seek blue-blocking intraocular lens (IOL) implants to protect your retinas the same way sunglasses do. 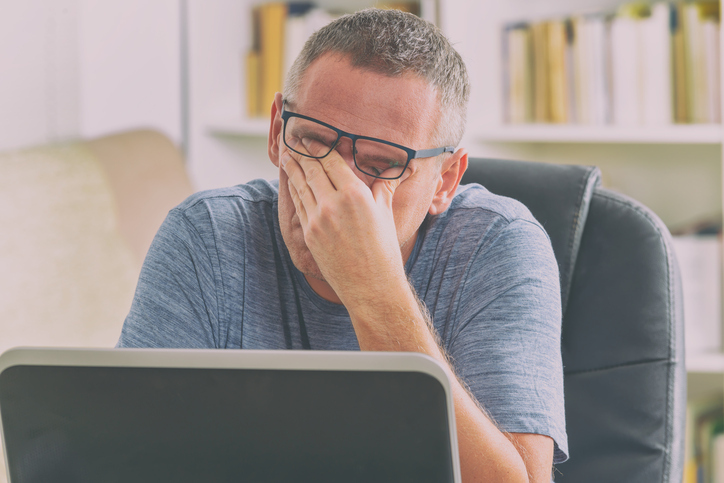 If you’re experiencing any vision problems or discomfort after exposure to bright light, visit Gerstein Eye Institute in Chicago, IL for an evaluation. Our commitment to helping patients protect their vision dates back to 1968. For more information, or to schedule an eye appointment, please contact us at 773.596.9545 today.